History 1976 -1978 • • • Wozniak and Jobs form the Apple Computer Company on April Fool's Day. Wozniak and Jobs finish work on a preassembled computer circuit board. It has no keyboard, case, sound or graphics. They call it the Apple® I. The Apple I board is released for sale to hobbyists and electronics enthusiasts at the price of $666. 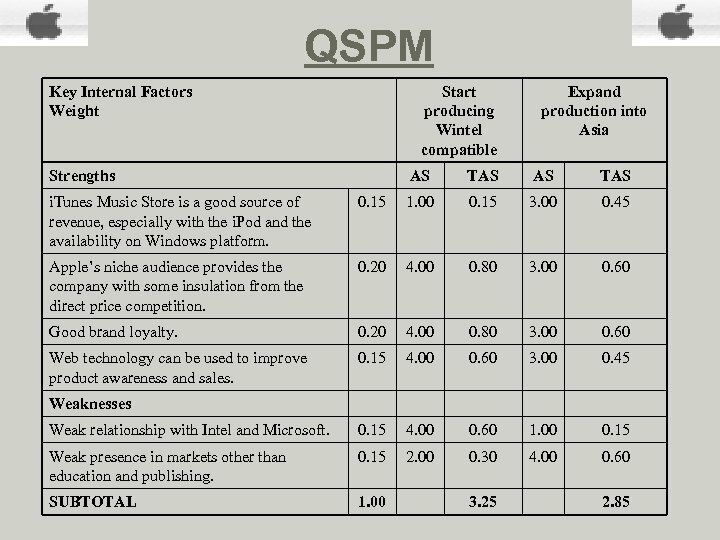 Apple's first formal business plan sets a goal for sales to grow to $500 million in ten years. As it turns out, the company will pass that mark in half the time. Apple I computer boards are sold through 10 retail stores in the U. S. Apple moves from Jobs' garage to a building on Stevens Creek Boulevard in Cupertino, California. The new Apple® II is unveiled at the first West Coast Computer Fair. It is the first personal computer able to generate color graphics and includes a keyboard, power supply and attractive case. The Apple logo as seen today is designed by Rob Janoff, art director for Regis Mc. Kenna Advertising launches its first ad campaign for Apple. Although advertising is initially aimed at electronics enthusiasts, Apple will soon become the first company to advertise personal computers in consumer magazines. Monthly orders reach a $1 million annual sales rate. http: //www. 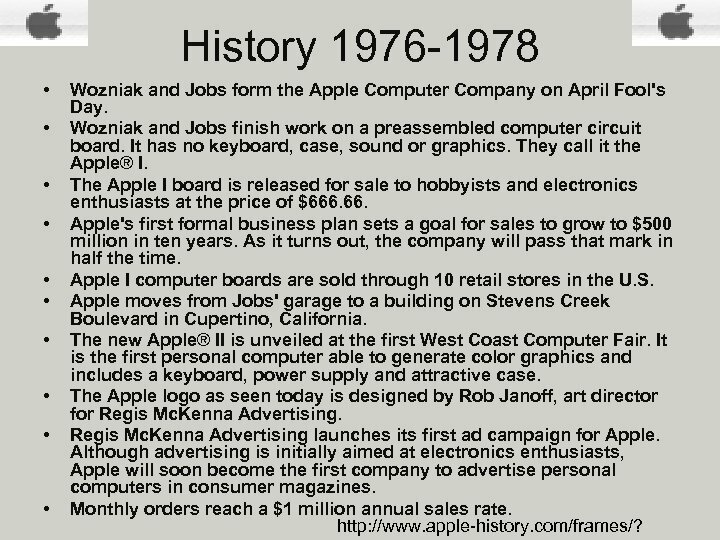 apple-history. com/frames/? 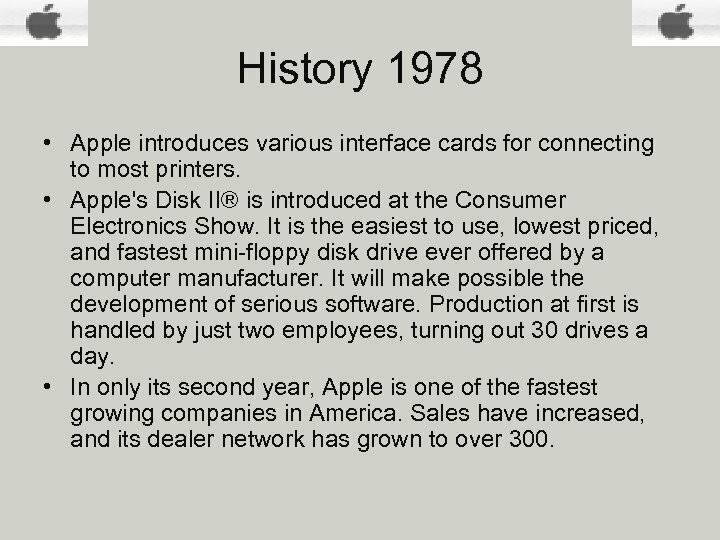 History 1978 • Apple introduces various interface cards for connecting to most printers. 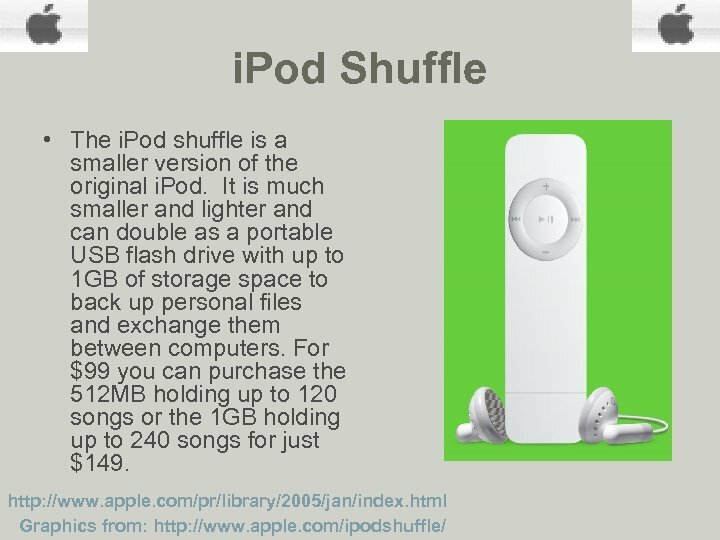 • Apple's Disk II® is introduced at the Consumer Electronics Show. It is the easiest to use, lowest priced, and fastest mini-floppy disk drive ever offered by a computer manufacturer. It will make possible the development of serious software. Production at first is handled by just two employees, turning out 30 drives a day. • In only its second year, Apple is one of the fastest growing companies in America. Sales have increased, and its dealer network has grown to over 300. 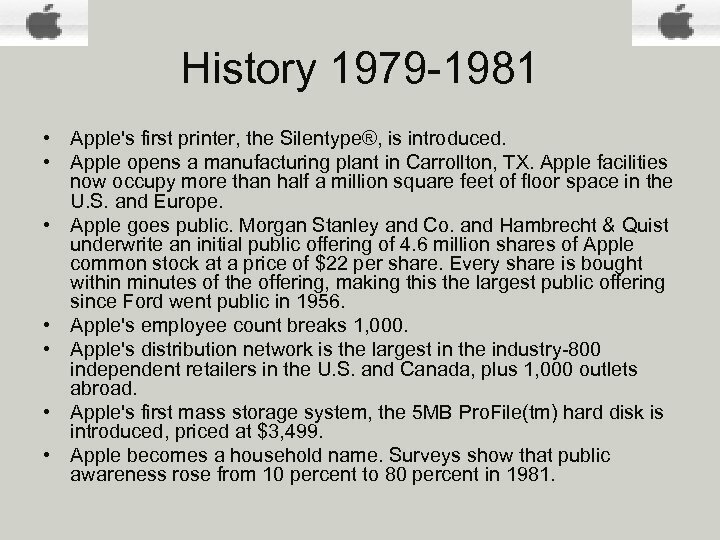 History 1979 -1981 • Apple's first printer, the Silentype®, is introduced. • Apple opens a manufacturing plant in Carrollton, TX. Apple facilities now occupy more than half a million square feet of floor space in the U. S. and Europe. • Apple goes public. 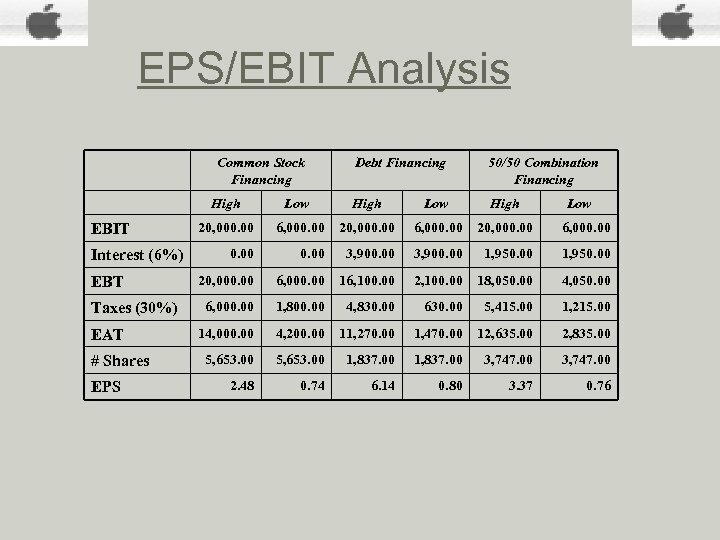 Morgan Stanley and Co. and Hambrecht & Quist underwrite an initial public offering of 4. 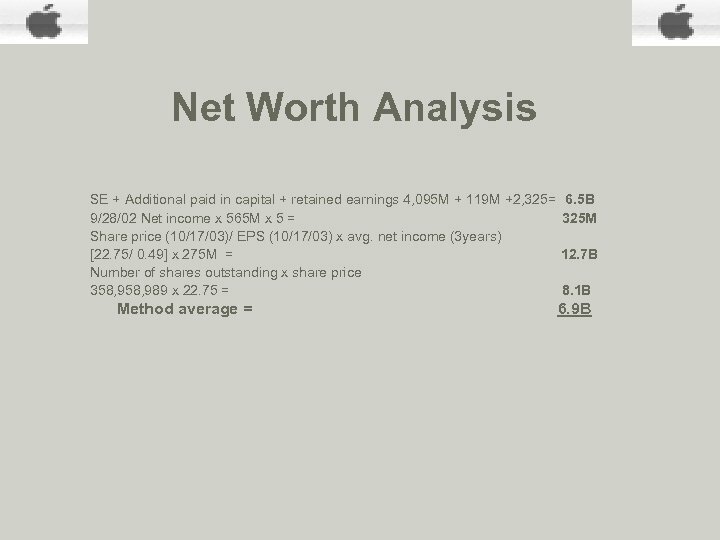 6 million shares of Apple common stock at a price of $22 per share. 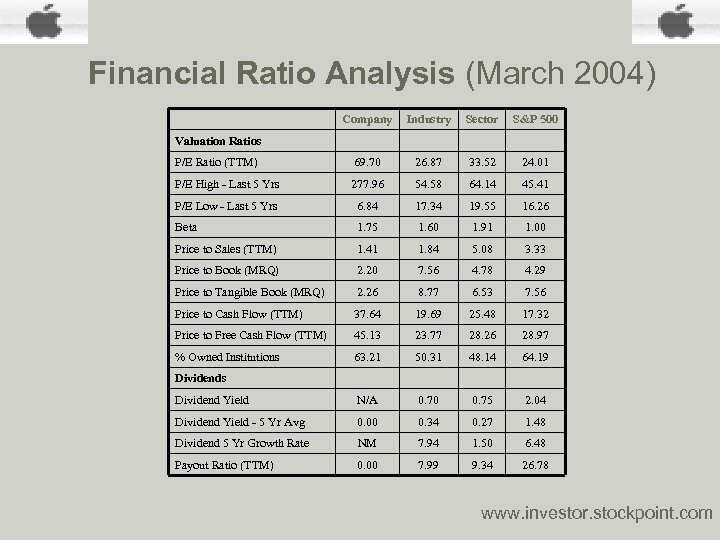 Every share is bought within minutes of the offering, making this the largest public offering since Ford went public in 1956. • Apple's employee count breaks 1, 000. • Apple's distribution network is the largest in the industry-800 independent retailers in the U. S. and Canada, plus 1, 000 outlets abroad. • Apple's first mass storage system, the 5 MB Pro. File(tm) hard disk is introduced, priced at $3, 499. • Apple becomes a household name. Surveys show that public awareness rose from 10 percent to 80 percent in 1981. 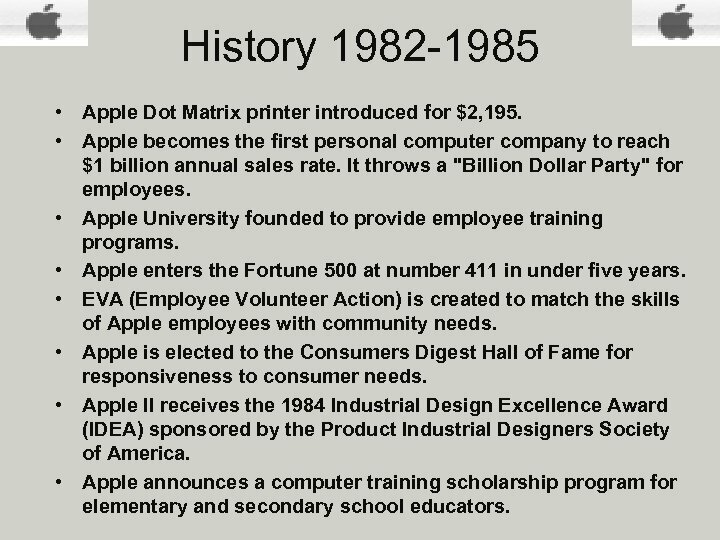 History 1982 -1985 • Apple Dot Matrix printer introduced for $2, 195. • Apple becomes the first personal computer company to reach $1 billion annual sales rate. It throws a "Billion Dollar Party" for employees. 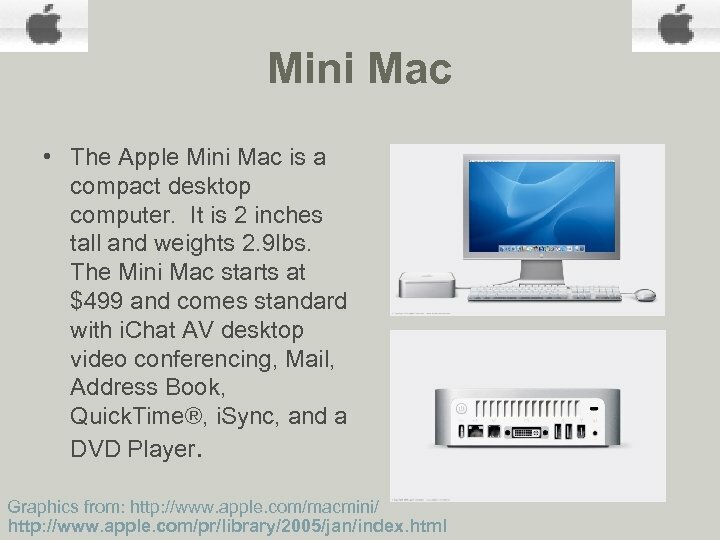 • Apple University founded to provide employee training programs. • Apple enters the Fortune 500 at number 411 in under five years. • EVA (Employee Volunteer Action) is created to match the skills of Apple employees with community needs. • Apple is elected to the Consumers Digest Hall of Fame for responsiveness to consumer needs. • Apple II receives the 1984 Industrial Design Excellence Award (IDEA) sponsored by the Product Industrial Designers Society of America. • Apple announces a computer training scholarship program for elementary and secondary school educators. 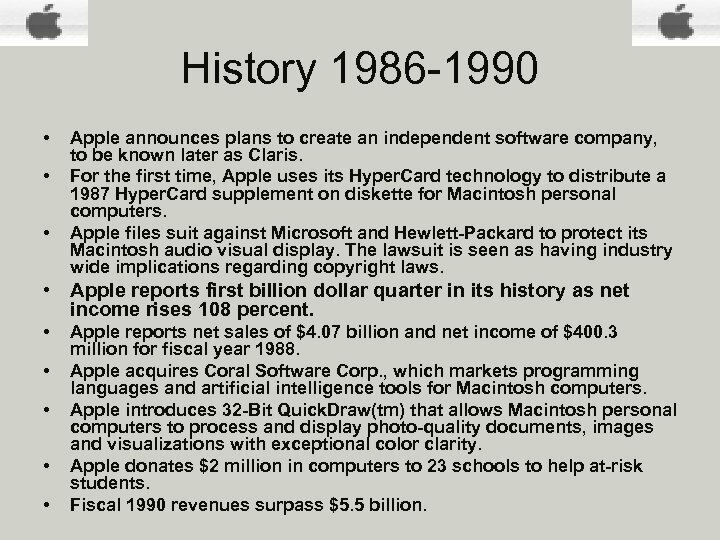 History 1986 -1990 • • • Apple announces plans to create an independent software company, to be known later as Claris. For the first time, Apple uses its Hyper. Card technology to distribute a 1987 Hyper. Card supplement on diskette for Macintosh personal computers. Apple files suit against Microsoft and Hewlett-Packard to protect its Macintosh audio visual display. The lawsuit is seen as having industry wide implications regarding copyright laws. • Apple reports first billion dollar quarter in its history as net income rises 108 percent. • • • Apple reports net sales of $4. 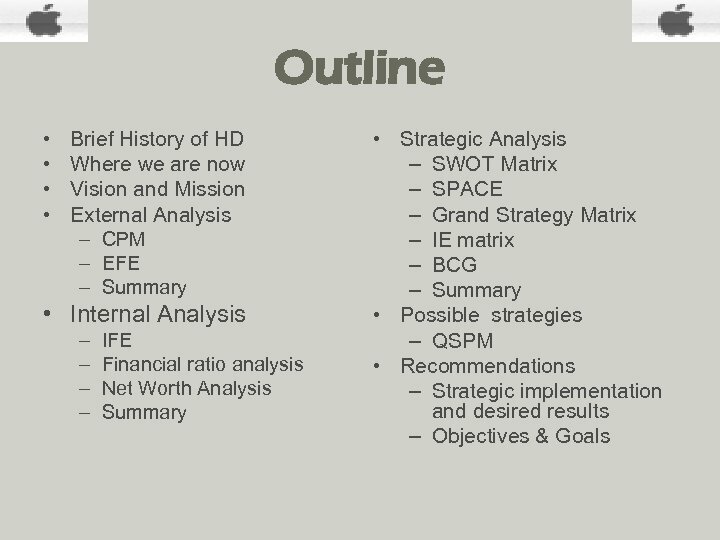 07 billion and net income of $400. 3 million for fiscal year 1988. Apple acquires Coral Software Corp. , which markets programming languages and artificial intelligence tools for Macintosh computers. 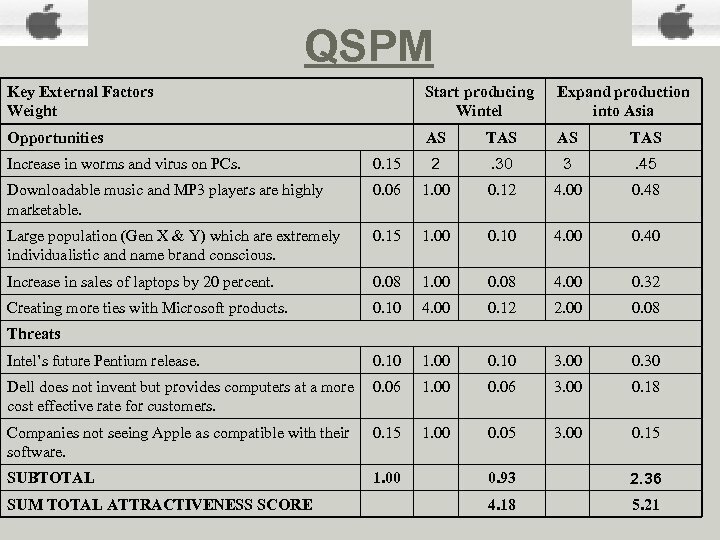 Apple introduces 32 -Bit Quick. Draw(tm) that allows Macintosh personal computers to process and display photo-quality documents, images and visualizations with exceptional color clarity. Apple donates $2 million in computers to 23 schools to help at-risk students. 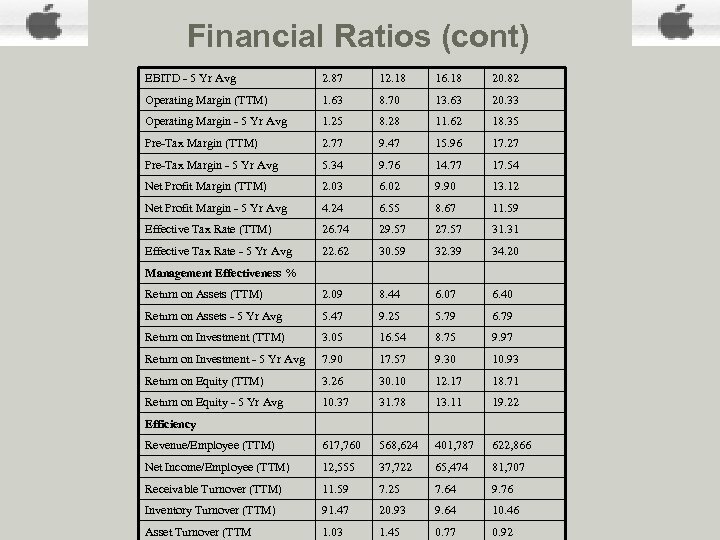 Fiscal 1990 revenues surpass $5. 5 billion. 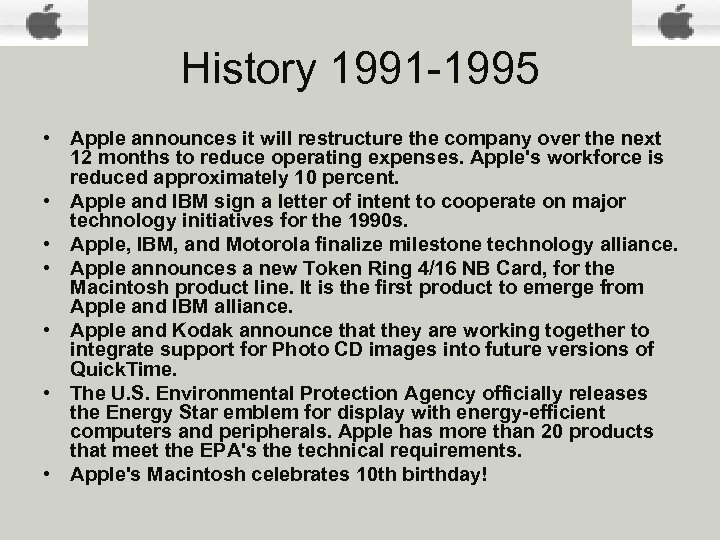 History 1991 -1995 • Apple announces it will restructure the company over the next 12 months to reduce operating expenses. Apple's workforce is reduced approximately 10 percent. • Apple and IBM sign a letter of intent to cooperate on major technology initiatives for the 1990 s. • Apple, IBM, and Motorola finalize milestone technology alliance. • Apple announces a new Token Ring 4/16 NB Card, for the Macintosh product line. It is the first product to emerge from Apple and IBM alliance. • Apple and Kodak announce that they are working together to integrate support for Photo CD images into future versions of Quick. Time. • The U. S. Environmental Protection Agency officially releases the Energy Star emblem for display with energy-efficient computers and peripherals. 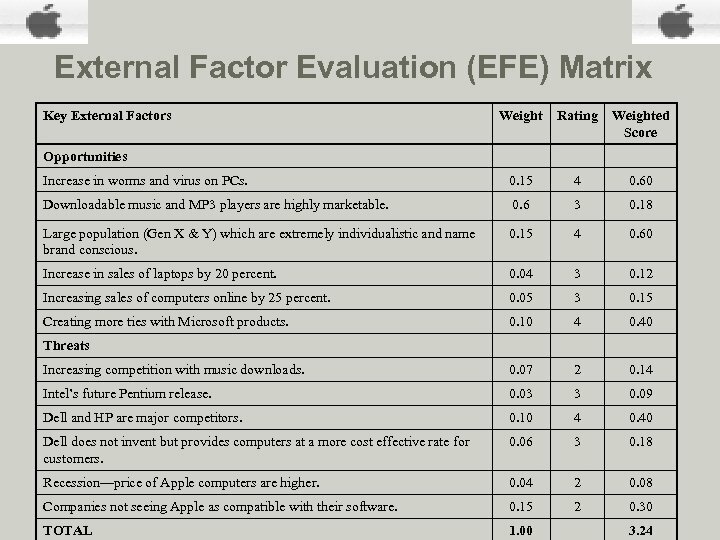 Apple has more than 20 products that meet the EPA's the technical requirements. 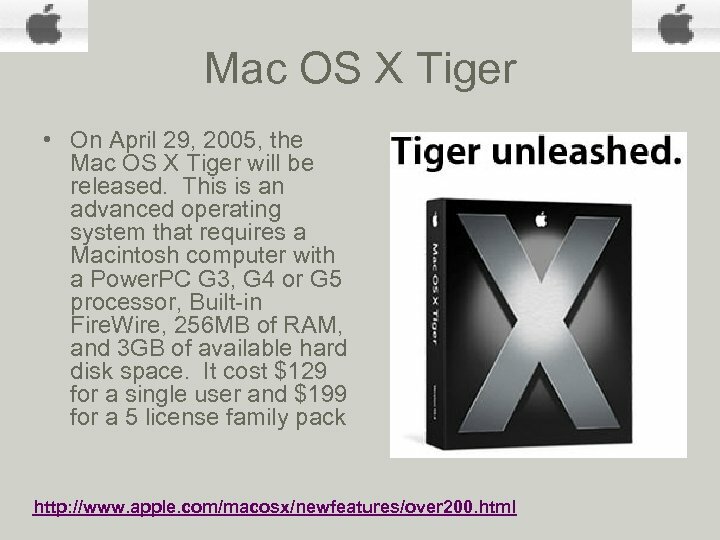 • Apple's Macintosh celebrates 10 th birthday! 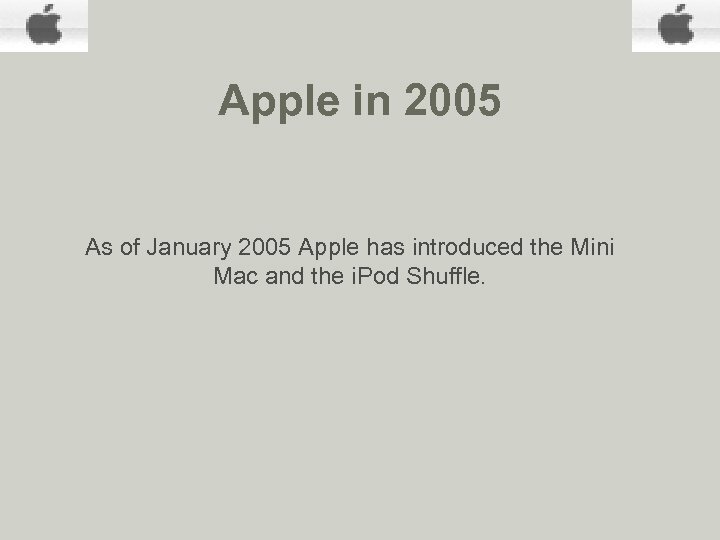 Apple in 2005 As of January 2005 Apple has introduced the Mini Mac and the i. Pod Shuffle. 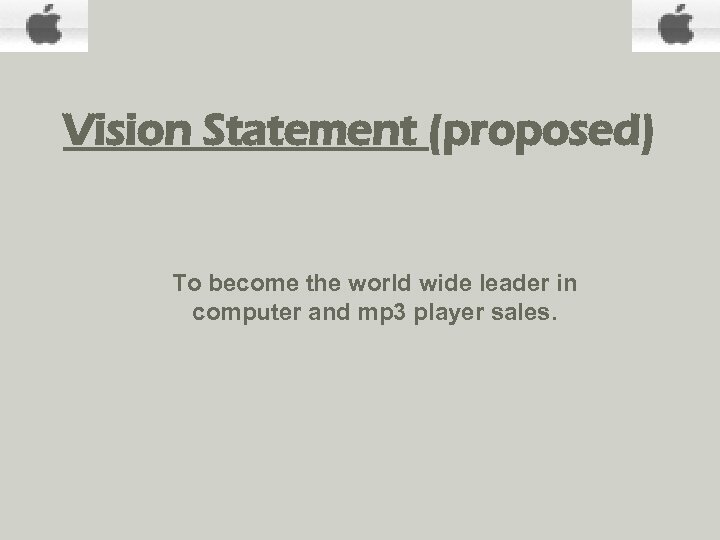 Vision Statement (proposed) To become the world wide leader in computer and mp 3 player sales. 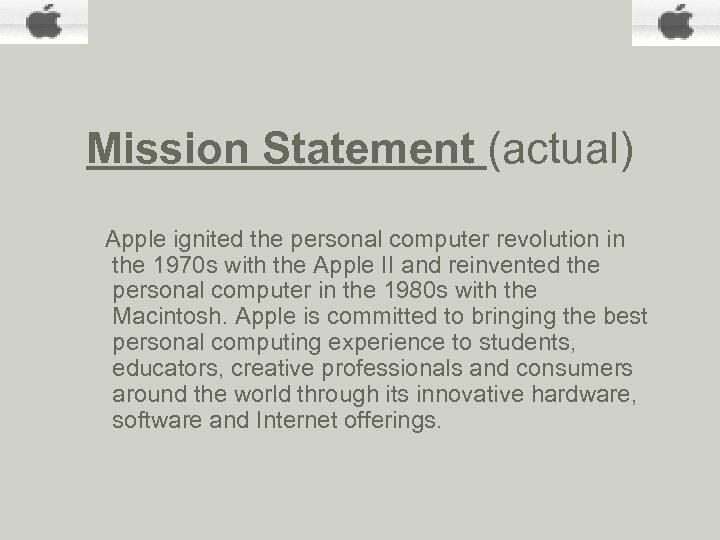 Mission Statement (actual) Apple ignited the personal computer revolution in the 1970 s with the Apple II and reinvented the personal computer in the 1980 s with the Macintosh. 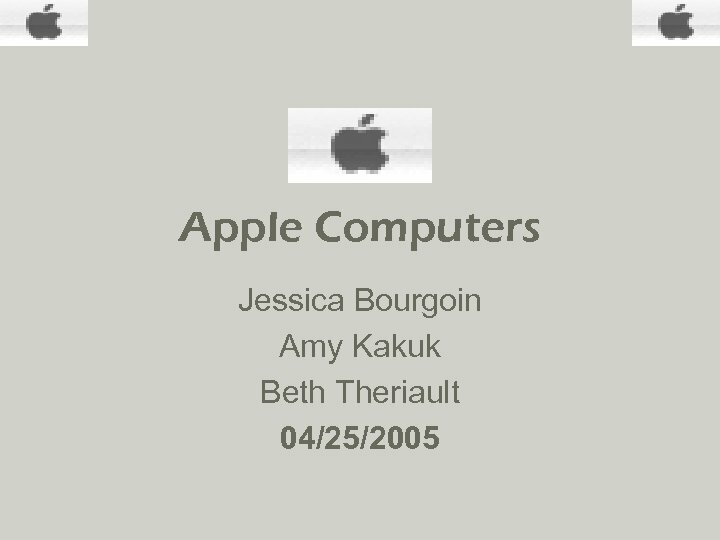 Apple is committed to bringing the best personal computing experience to students, educators, creative professionals and consumers around the world through its innovative hardware, software and Internet offerings. 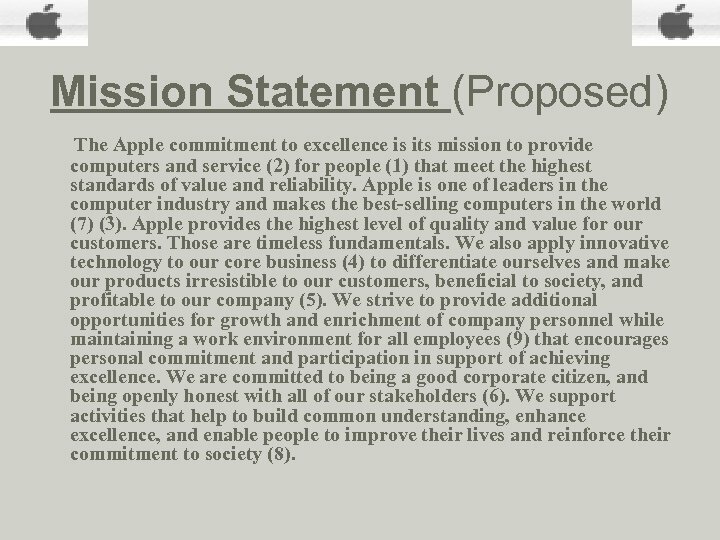 Mission Statement (Proposed) The Apple commitment to excellence is its mission to provide computers and service (2) for people (1) that meet the highest standards of value and reliability. Apple is one of leaders in the computer industry and makes the best-selling computers in the world (7) (3). 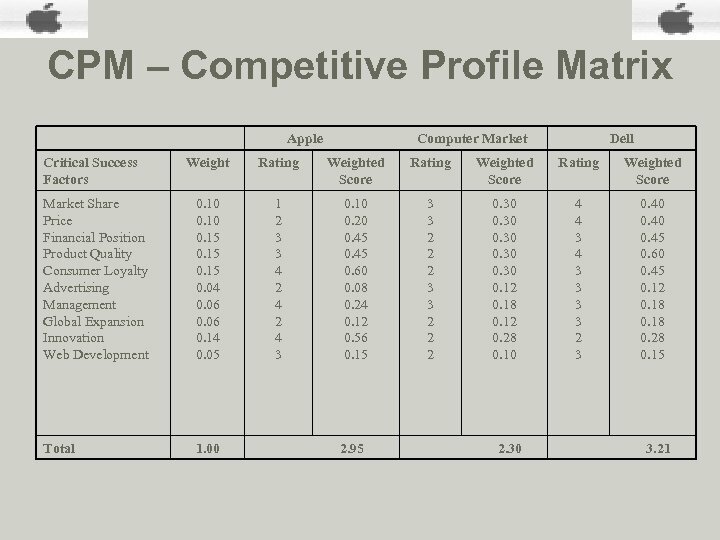 Apple provides the highest level of quality and value for our customers. Those are timeless fundamentals. We also apply innovative technology to our core business (4) to differentiate ourselves and make our products irresistible to our customers, beneficial to society, and profitable to our company (5). We strive to provide additional opportunities for growth and enrichment of company personnel while maintaining a work environment for all employees (9) that encourages personal commitment and participation in support of achieving excellence. We are committed to being a good corporate citizen, and being openly honest with all of our stakeholders (6). We support activities that help to build common understanding, enhance excellence, and enable people to improve their lives and reinforce their commitment to society (8). External Audit Opportunities Threats • • Increase in worms and viruses on PCs. 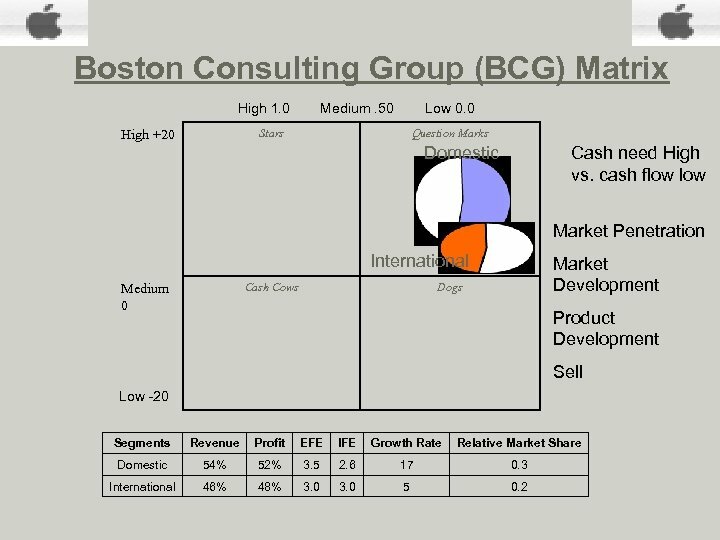 Large population (Gen X&Y) which are extremely individualistic and name brand conscious. Weak ties with Microsoft products. Downloadable music and MP 3 players are highly marketable. Increase sales of computers online by 25 percent. Increase sales of laptops by 20 percent. • • • Companies not seeing Apple as compatible with their software. Dell and HP are major competitors. Increasing competition with music downloads. Dell does not invent but provides computers at a more cost effective rate for customers. 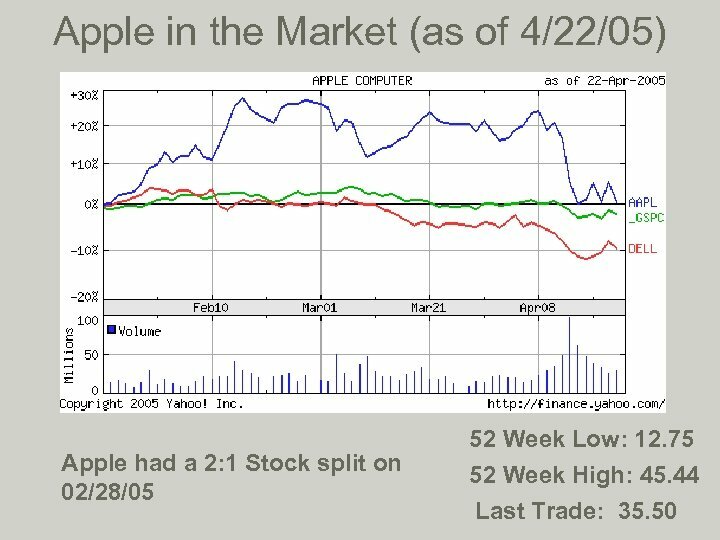 Recession—price of Apple computers are higher. Intel’s future Pentium release. 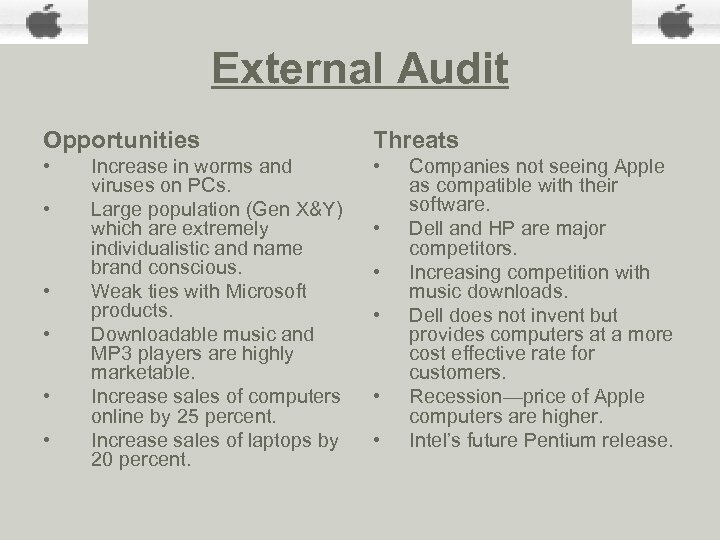 External Summary • Apple has rated the Increase in worms and virus on PCs, Large population (Gen X & Y) which are extremely individualistic and name brand conscious, and the Creating more ties with Microsoft products as their three highest opportunities. 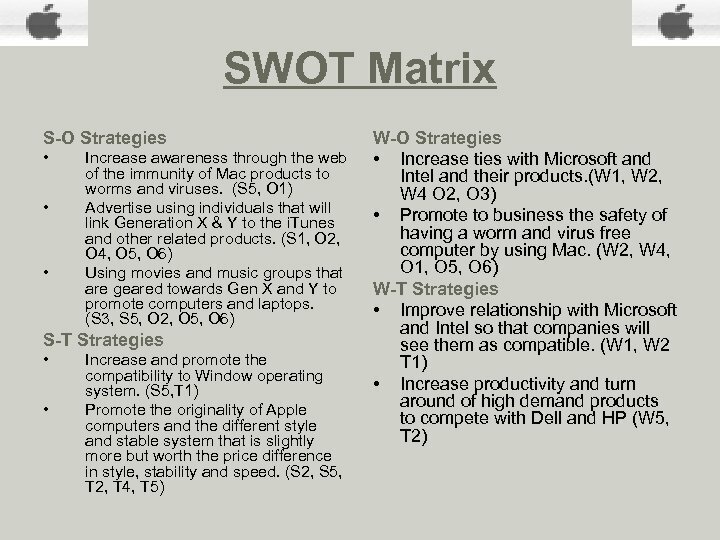 • Apple has rated that the fact of Dell and HP being such huge competitors as their top threat. 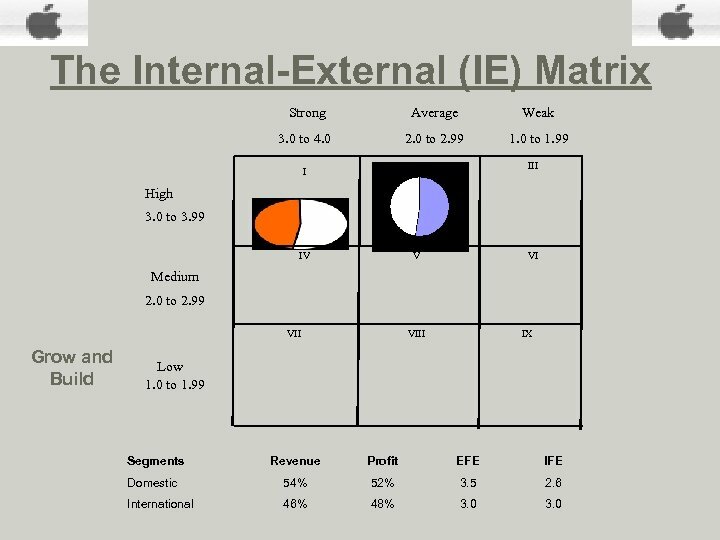 Internal Audit Strengths Weaknesses • • i. Tunes Music Store is a good source of revenue, especially with the i. Pod and the availability on Windows platform. Developing own software and hardware. Apple’s niche audience provides the company with some insulation from the direct price competition. Revamping desktop and notebook lines. Web technology can be used to improve product awareness and sales. Low debt—more maneuverable. Good brand loyalty. • • Weak relationship with Intel and Microsoft. Weak presence in business arena. Dependency on new product launches. 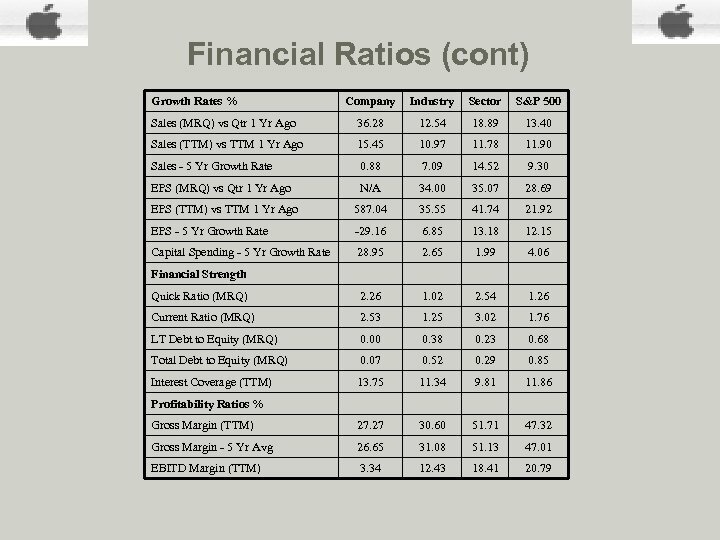 Weak presence in markets other than education and publishing. Slow turn around on high demand products. 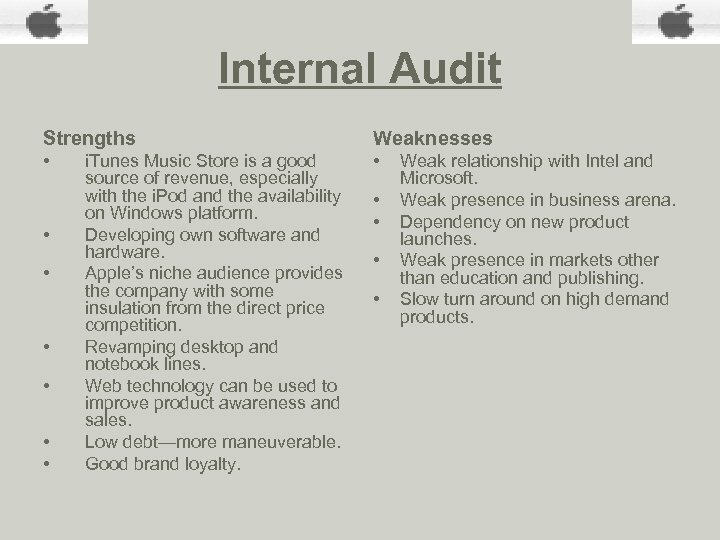 Internal Summary Apple has rated their i. 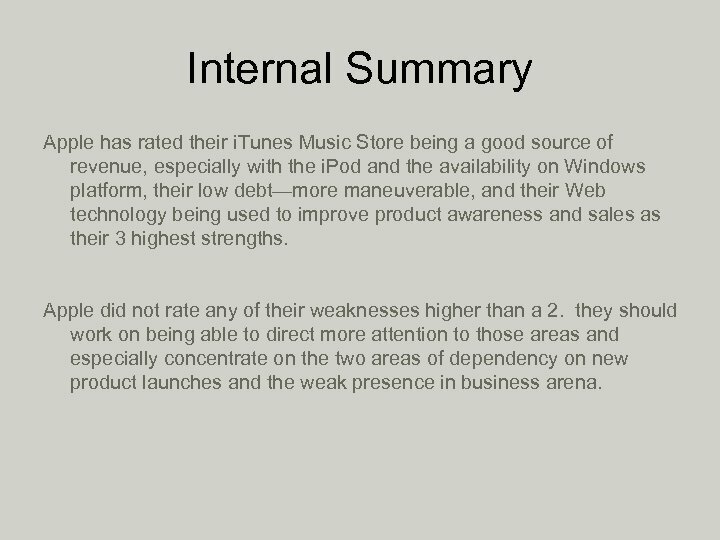 Tunes Music Store being a good source of revenue, especially with the i. Pod and the availability on Windows platform, their low debt—more maneuverable, and their Web technology being used to improve product awareness and sales as their 3 highest strengths. 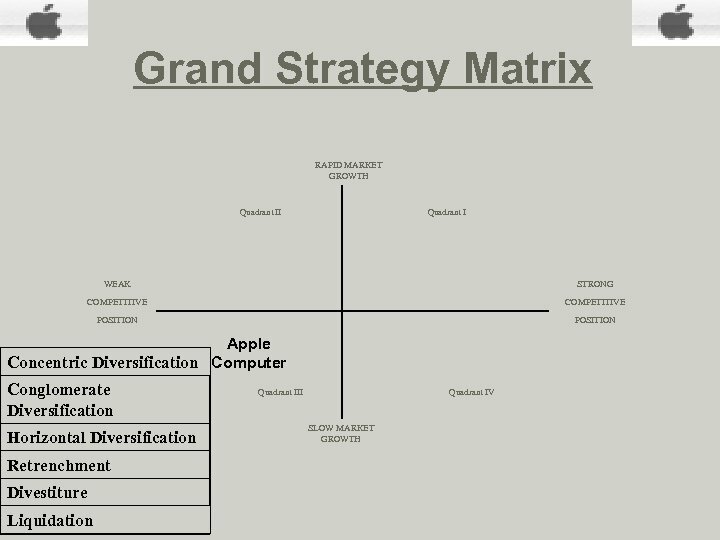 Apple did not rate any of their weaknesses higher than a 2. they should work on being able to direct more attention to those areas and especially concentrate on the two areas of dependency on new product launches and the weak presence in business arena. 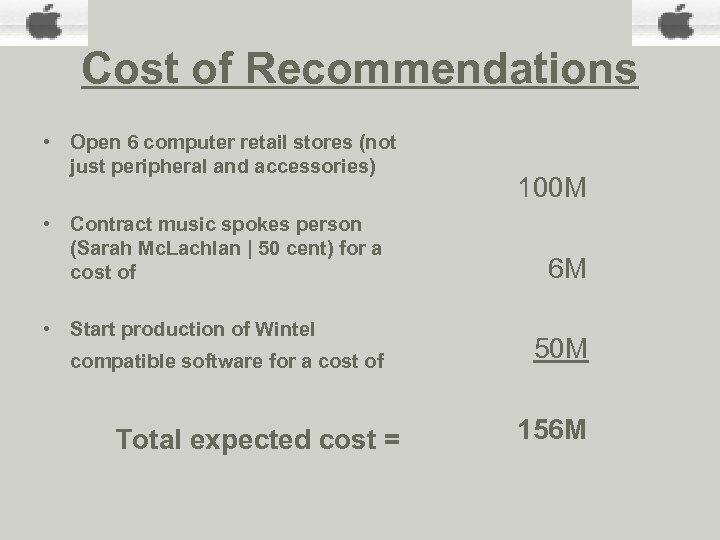 Recommendations Strategy 1 • Open six computer retail stores (not just peripheral and accessories). Apple currently has stores opened throughout the United States with only peripheral and accessories for their computers. Adding the hardware should generate more hands-on awareness and use already established locations. • This will increase product accessibility for those who wish to view items other than just accessories and increase awareness of the originality of Apple’s products. • 2 percent increase over the next 2 years in sales representatives for the computer hardware. Strategy 2 • Contract music spokesperson to attract the upcoming generation who are attending high school and college. This will invoke a sense of style and linking apple with a distinctive and memorable top 10 hit. This will stay in the customer’s awareness and influence future purchase decisions. • Contracting one music spokesperson estimated $6 million. 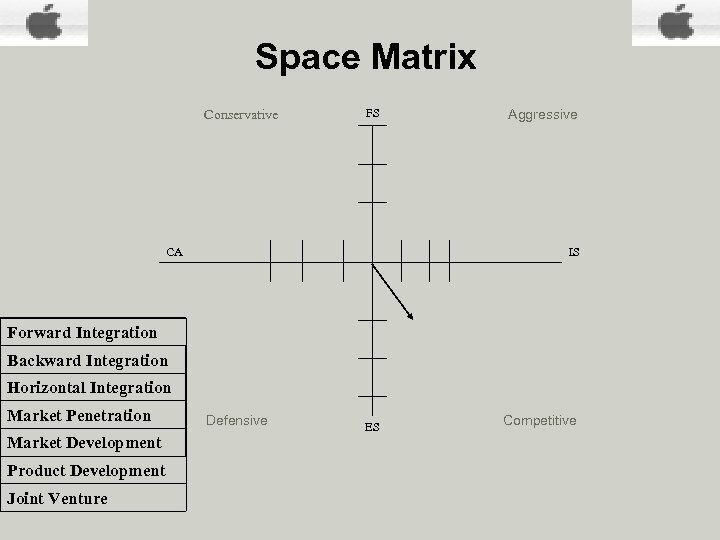 Strategy 3 • Add more features to current products for greater Wintel compatibility. 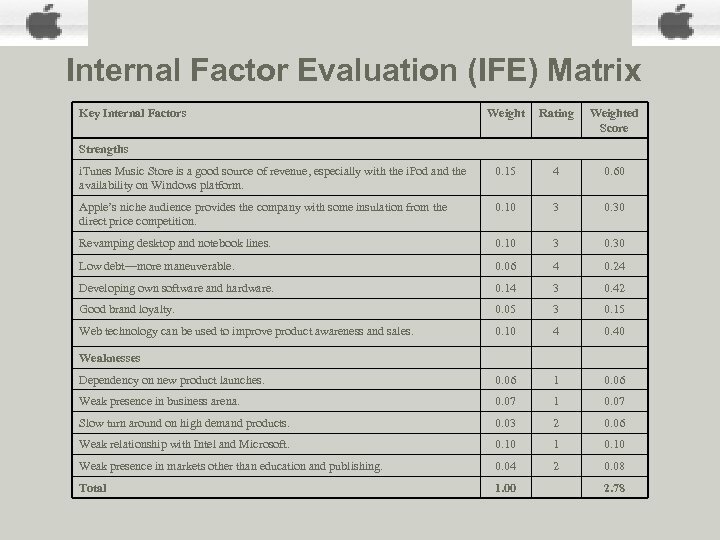 Features such as i. Tune software compatible with windows based computers, Office programs loadable from PC installation disk (This would require a software agreement with Microsoft). 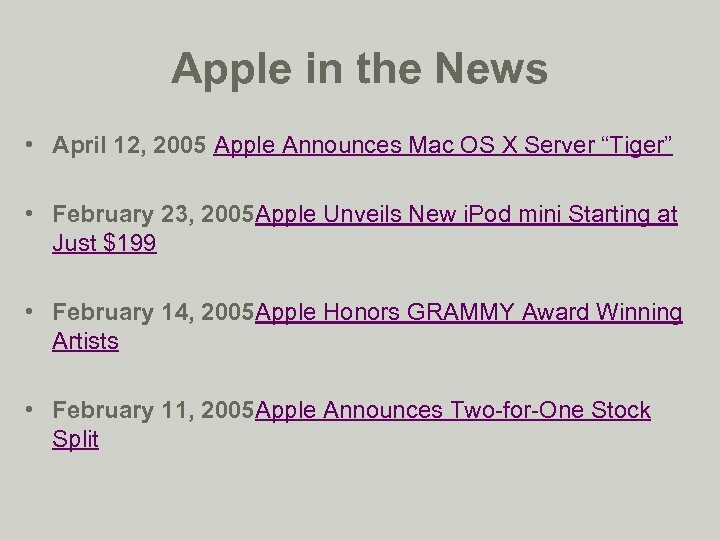 In late October 2003 Apple released an i. Tune software package that is PC ready. • It will increase the United States market share at least 30 percent for the next 2 -3 years. 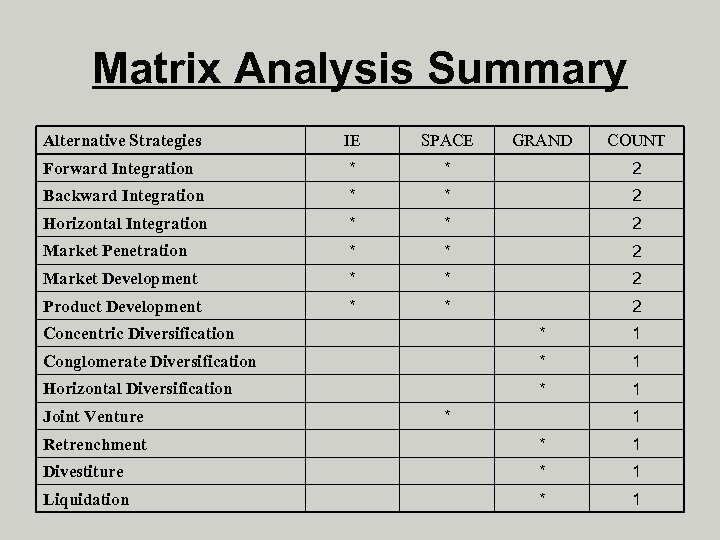 • $50 million is the estimated cost for Research and Development. 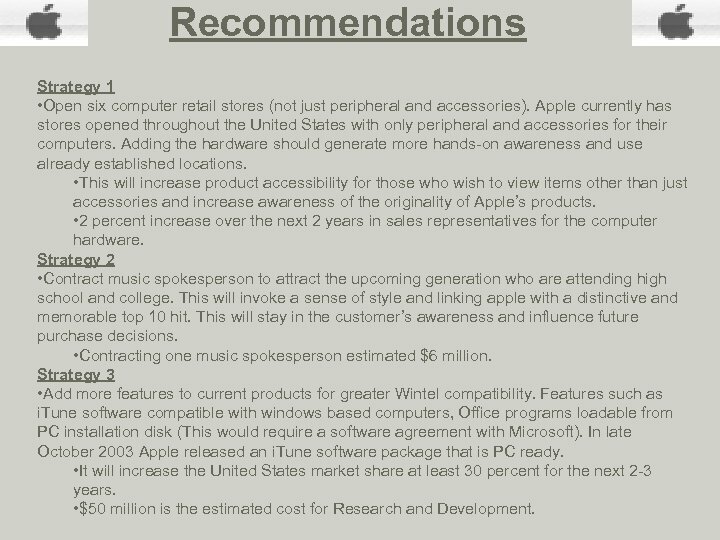 Objectives and Goals • Over the next 3 -4 years Apple would like to increase their product accessibility (new stores). • Increase their market share by 30% • Eliminate the need for new products in order to raise sales.